Montenegro will become the 29th NATO member after all member states ratify the protocol. The foreign ministers of 28 NATO member states on Thursday, 19 May signed a protocol on the accession of Montenegro to the Alliance, an LB.ua correspondent has reported from Brussels. The ministers signed the protocol in alphabetical order starting with Albania. After the signing, Montenegro received the "guest" status, which will allow it to attend the meetings of the Alliance as observers. The protocol must now be ratified by all NATO countries to allow Montenegro to become a full-fledged member of the Alliance. NATO Secretary-General Jens Stoltenberg said he believed the ratification of the protocol may take about a year, but the duration of this process depends entirely on the Alliance member states. As of 2015, the Montenegrin army had 1,950 troops plus around 400 reservists. The Montenegrin government announced the intention to join NATO in 2010. Later, the country signed the membership action plan and received a candidate status. 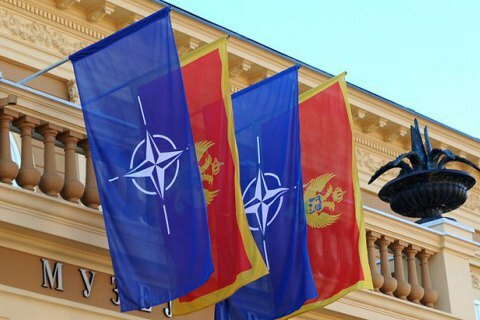 In January, Jens Stoltenberg invited Montenegro to talks on the accession to NATO. Last time NATO expanded in 2009 through the accession of two Balkan countries, Albania and Croatia. The membership action plan was also granted to Macedonia and Bosnia and Herzegovina.